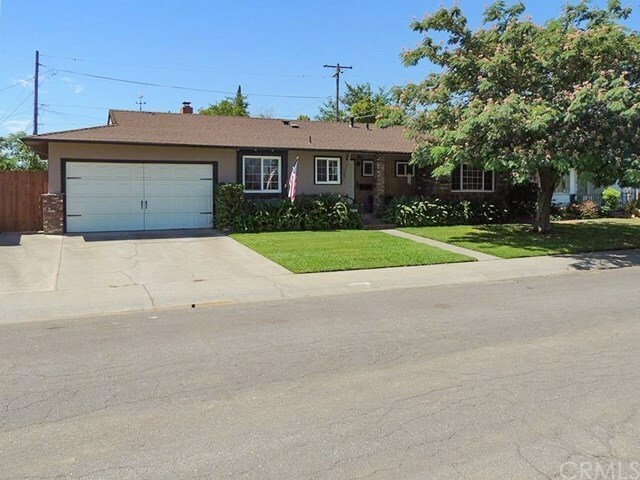 Recently updated, 3 bedroom, 2 bath home in peaceful Willows! This gorgeous 1413 sq ft home is an absolute must-see! With beautiful hardwood flooring throughout (even under the carpet in the living room!) you will fall in love with the appeal of this charming property. Lovely landscaping and red brick accents add to the curb appeal. Newer interior paint, ceiling fans, heating and air system, most appliances, and even the roof (less than 10 years old per seller) will put your mind at ease. Cozy bonus enclosed porch is perfect for accommodating guests for large holiday dinners or even to be used as a fabulous family room! Snuggle up on those chilly winter nights with a good book next to the wood stove insert in the living room. Bedrooms are spacious and the master bath even has a recently updated tile shower! Out the back door you will be amazed at the immaculate back yard, with lush lawns and plant life, and even producing cherry and plum trees! Complete with a covered back patio and newer fencing, you will have the perfect summertime gathering place! Lot Size, Sq ft and year built all taken from county record, buyer to verify all information to satisfaction.